* In Ireland, everyone is expected to have a party piece - a song, poem, joke or story that you wheel out when called upon. In my own home-town of Cork, there was a long tradition of singing in pubs, and seeing as we spent quite a lot of time in pubs as kids (it was kinda the done thing), we would hear our dads and our uncles sing all kind of tunes, from sporting songs to rebel songs and occasionally, the odd bit of light opera. Cork people always had a love for music, my grandparent's generation would have been mad about light opera and Victorian music hall. But the bravest by far! In the ranks of the Shah! * In Trinity College, Dublin, in the spring of 1877, a young student from County Roscommon, son of an Anglo-Irish landlord, was called upon to compose a ditty for a "smoking concert". Percy French was studying civil engineering. He would go on to land a glamourous job as Inspector of Drains for County Cavan. But his passions were music and painting. And he was brilliantly gifted at both. He would go on to paint beautiful landscapes and write evergreen songs such as The Mountains of Mourne, Phil The Fluther's Ball and Are You Right There Michael. They were sentimental, comic, slightly silly. But the fact that many of us can hum the tune to them over a century after they were written proves that Percy had a certain kind of genius. Are You Right There Michael is a comic opera in three acts, all in the one song, telling the tale of the notoriously unreliable West Clare Railway line. From Ennis as far as Kilkee..."
Such was the embarrassment caused by the popularity of the song, the railway company actually launched a libel action against French. They didn't win, the story being that when French arrived late for the libel hearing at the court, and was pulled up by the judge on his tardiness, he responded: "Your honour, I travelled by the West Clare Railway!" resulting in the case being thrown out amid much hilarity. 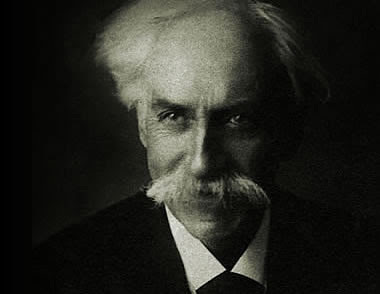 French's first successful foray into song was actually a poem that he wrote which was put to music, while he was a student in Trinity College Dublin. French took for his inspiration, the ongoing and bloody Russo-Turkish War of 1877, a follow-on from the Crimean War, in which Russia and seven allied Balkan nations fought the Ottoman Turks for control of the Crimean region (yes, even back then). French set out to satirise the quarrelsome Russians and Turks, painting them as ridiculous, strutting children who would take offence at any slight and go to war. The song, detailing the meeting and falling out of two fierce soldiers - Ivan Skavinsky Skavar, champion of the Tsar and Abdul Abulbul Amir (sometimes The Bulbul Ameer) of the Ottoman army - is a put to a slow polka, and it's instantly memorable. It's also a bit un-PC - not many modern lyricists would write a jolly ditty about a Turk attacking a Russian with a large knife, while crying (and this is in the lyrics) "Allah Akbar!". It became quite the hit in Dublin's student circles, young Percy was tricked into selling his song to an unscrupulous music publisher for just £5. It went on to sell vast numbers music sheets and be performed on stages all over the world. The publisher first claimed he had actually wrote it, as did several other music publishers in Britain, France and the US. Poor Percy never got more than the price of a summer suit. 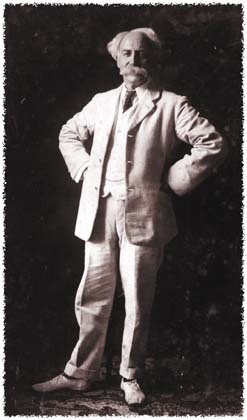 The popular singer Frank Crumit performed perhaps the most famous version of the song in the 1920s, selling so many gramophone records, he was inspired to come up with three sequels: "The Return of Abdul Abulbul Amir", "The Grandson Of Abdul Abulbul Amir", and "Minnie Skavinsky Skavar". Your story is wonderful. We medical students used to sing this in our anatomy lab many, many years ago and I still remember it. But I did not know the story behind the song. Thanks and good luck on your freelancing. Hi - glad you enjoyed it and thanks for commenting!